This small charming hotel is located just 40 metres from the sandy beaches. It offers guest rooms with balconies and sea views. 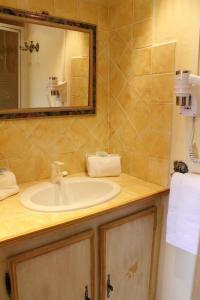 Villa Nina's air-conditioned and soundproofed rooms have free Wi-Fi access and flat-screen cable TV. Guests can enjoy a drink at the lounge bar or in the bonsai garden, relax in the library with a wide range of books, decorated in a unique style. The breakfast is served in an elegant dining room with large windows. During the summertime guests can enjoy their breakfast in the garden. There is a car park next door to Villa Nina. Nice-Côte d'Azur Airport is 20 km away from the hotel. The reception is open from 08:00 until 21:00. If you plan to arrive later, please contact the hotel in order to receive the key. A free shuttle runs from the hotel to the train station every 10 minutes from 07:00 to 19:00. This service is available every day except on Sundays. Please note that due to security and hotel layout reasons, the hotel is unable to accommodate children under 7 years age.